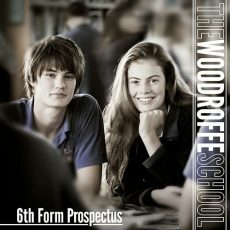 Welcome to The Woodroffe School Sixth Form, a vibrant and hard-working community that is dedicated to supporting and nurturing well-rounded young adults. Rated in September 2011 as “Outstanding” by Ofsted, the Sixth Form is a very special place, one filled with opportunity, ambition, achievement and teamwork. Working together, staff and students lay the foundations for a successful future, be it towards Higher Education, apprenticeships or employment. We are committed towards providing our students with the tools they need to succeed. With a superb academic record at A Level last year, we are a Sixth Form that takes great pride in the achievements of its students. Driven by an experienced and highly skilled team of tutors, teachers and support staff, we are committed to delivering academic excellence; at the same time we provide individual pastoral care to help our students grow and mature. There is a choice of routes through the Sixth Form including AS Levels, BTEC qualifications, and, of course, A Levels. We encourage students to consider their choice of courses in the Sixth Form thoroughly, using their parents, teachers and tutors to provide guidance. Life in the Sixth Form provides a wealth of other opportunities to encourage personal development, preparing students for the next crucial steps in their lives. We aim to present a myriad of experiences from UCAS Conventions to work placements; from a group of wide-ranging visiting speakers to field trips to New York, Austria, Spain and more. We’re proud of the achievements of our Sixth Formers – they are true ambassadors for the School, demonstrating not only exam success, but their abilities as responsible, motivated and mature young people. The Woodroffe Sixth Form is undoubtedly one of the best sixth forms in the South West.